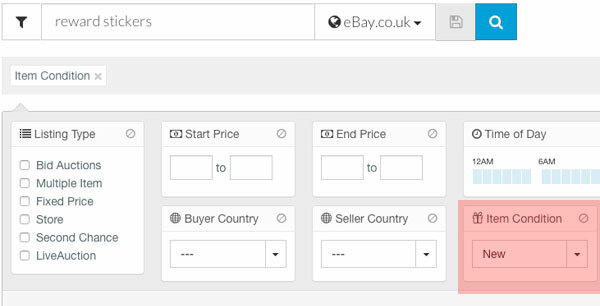 How To Start an eBay Business With Just £300! Probably the most common email I receive is from people who are looking to start a business on eBay, but have very limited funds – usually around just a few hundred pounds. These questions and emails are mostly from people with very little (or no) eBay experience who simply want to start something part-time that can provide a decent second income, with the long term goal of turning it in to a proper business – something that they can leave their job to work on. And really it’s very understandable why this “group” struggles and requires a lot of help, as creating a successful business on eBay is tough under any circumstances, never mind with a budget of just £200-£300. But, I don’t agree with that! And today, I want to share with all of you one specific business model for creating a profitable business on eBay, that is ideally suited to people with a starting budget of just £300 (of course you can also utilise this method with a higher starting budget, but I wouldn’t recommend it if you have a lot more than £300 to spend, as you’ll be limiting your profit potential that way). Alright so, let’s get right in to it – step one of this eBay model is actually all about learning. Yes that’s right, we’ve all heard the saying that “failing to prepare if preparing to fail” and that couldn’t be more true than with eBay and online selling in general. Though don’t fear – this isn’t a months-long process. Ideally I would recommend you get my Easy Auction Business video course, as that covers everything you need to know to be successful on eBay, through 15 hours of video lessons. But as this post is geared towards people with a relatively low starting budget, another option is to simply read everything on this blog. 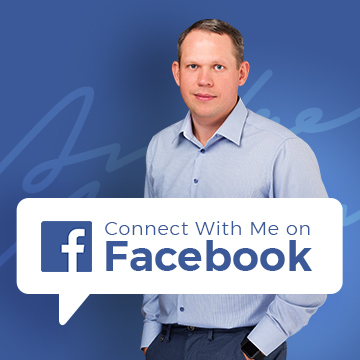 I reveal many things that others would charge thousands for, and you have it all for free, so please don’t waste this opportunity – take a few days to go through all the posts (old and new) and you’ll be in a much better position to get started. At this point you’re now ready to proceed to step two – gaining top-rated seller status. The importance of becoming a top-rated seller cannot be overstated, as it really is the integral first step in creating a successful business on eBay and gives you so many advantages over non top-rated sellers. This is something that many newbie sellers really struggle with, but once again you’re in luck, as I have revealed the exact strategy I use with my 60 Day Blueprint customers to get that coveted top-rated seller badge in as little as a few weeks’ time! You can find the full guide (recently updated for 2015) here: How To Buy A Top-Rated Seller Account for £200! Please don’t make the mistake of assuming that getting top-rated seller status really isn’t that important and you can just wait until it happens “naturally”. eBay’s search algorithm places a big emphasis on top-rated sellers and higher search results = more views for your listings = more click-throughs = more sales! It’s really that simple. Conversion rate refers to the number of people who bought an item from you, in comparison to the total amount who viewed your listing. As an example, let’s say we have two sellers; A, who is not a top-rated seller; and B, who is a top-rated seller. They both get 5,000 views to their listing every month but A has a conversion rate of 6% and B a conversion rate of 10%. The result is that seller A makes 300 sales a month whereas seller B makes 500 sales a month. A nearly 70% increase in sales and profit, all due to the higher conversion rate! And guess what – being a top-rated seller means having a higher conversion rate, simply because buyers trust that TRS badge. There are some further advantages, such as the ability to qualify for eBay’s Premium Service badge and the ability to charge higher prices, but search rankings and conversion are by far the most important and are reason enough by themselves to go all-out in becoming a TRS. So please, follow my guide and really put all of your effort into it! Also, don’t be put off by the £200 loss (though really that’s still a phenomenal investment) as if you’re selective in what you buy and re-sell you won’t make any loss at all in this process, and can even turn a little profit along the way. The best way to do this is to buy and sell items from a niche that you know. Say you’re a big comic book fan, or buy a lot of retro games – use that knowledge to your advantage and buy and sell those types of items. Once you have achieved top-rated seller status, you’ll have also gained a lot of valuable experience putting what you learned in step one into practice. I’m talking about things like product photography, listing creation, image hosting, postage and packaging, etc. etc.! And you’re now ready to proceed to step 3 – finding money making items to sell! This step is what I also refer to as “the power of cheap items”. Yes, you guessed right – step 3 is all about selling super cheap products. I’m talking about items that sell for between £1.99 – £2.99 max, including free shipping! Very low priced items, that cost you no more than 20-30p to buy in bulk. Small, lightweight items that can be sent via Royal Mail letter or Royal Mail large letter (still no more than 100g). Shipping will be the biggest cost (and biggest margin killer) for these cheap items and a tiny difference in size or weight can destroy all your profit. These are all cheap and lightweight items and a good starting point for your research! 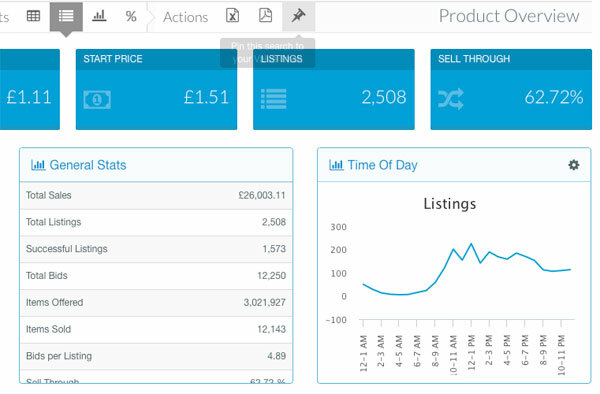 To further evaluate any potential products you’ve found, you will want to use Terapeak for in-depth research using real sales data. Total Sales (£) – this will show us how big the overall market is on eBay for that product. Sell-Through Rate (%) – this tells us what percentage of listings ended with at least one sale. 50% is really what I consider the minimum sell-through rate, ideally 60%+. Total Sales per Seller – this number should be above £500 per seller per month. £1,000 or more is a very good sign that the competition is not overly strong for this product. So in this case the sales per seller was a little on the low side at £305, but that’s not too bad considering this is a single product, and also taking into account the low price and good sell through rate. I hope this example demonstrates how quickly and easily you can find this data using Terapeak! For me it’s a no brainer to spend £20 on a month’s subscription vs wasting hours upon hours of my time doing this research manually (and you’d still end up with much less reliable results). If the product passes all four of these filters, that’s great! The next stage, step 4, is to start sourcing and to see if that item can actually be bought at a low enough price to make some money reselling it on eBay. Congratulations, you’ve now reached the fun part – sourcing and buying your items! Most people with a £300 budget feel that they have very few options for sourcing products, but that’s actually not the case at all and you can even go directly to China at this point! Straight away I find a product selling for $0.26, which is roughly £0.17, and it has an MOQ of just 100 units! That means a total order cost of £17.00 before shipping (which won’t be much at all for such a small and lightweight item). £17… yet there are still people who claim you need thousands of pounds to buy directly from China! If however you don’t feel you’re ready to import from China, and want to start off with something easier, there are still plenty of other options. You can look at US based suppliers, who I often recommend for such items as they have a huge selection of stock at very low prices, and shipping is relatively cheap when using USPS. If you want to go one step easier, UK based wholesalers are even an option. For the items that we’re looking for, you’ll want to stick to pound shop style suppliers and liquidation/clearance stock. 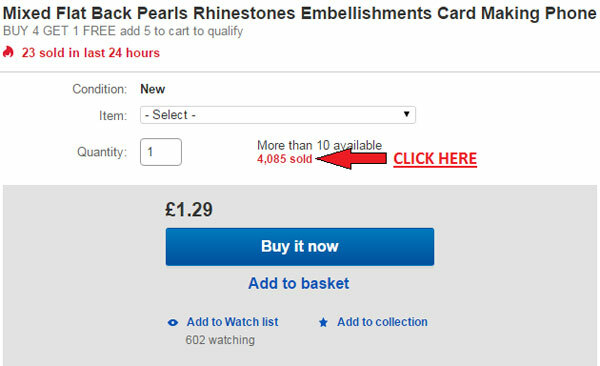 Well let’s take a quick look at the actual numbers for a product that costs us £0.30 to buy that we sell on eBay for £1.99 with free shipping. So not only have you made a profit, it’s actually a very impressive amount, if we look at the ROI (return on investment, i.e. your profit at the end in comparison to what you paid for the product). To further add to the good news – with these super cheap products it’s very common for people to buy in multiples, say 2-3 at a time, and this will drastically increase your margins! That’s because while you receive double the amount when you sell two items in one go, your costs aren’t anywhere near double (quite often you actually pay the same shipping fee, or at most a slightly increased one). How can you check what percentage of sales are for multiples? Well the easiest way is to find a competitor selling that same product and check their listing selling history which will show you the last 100 sales. 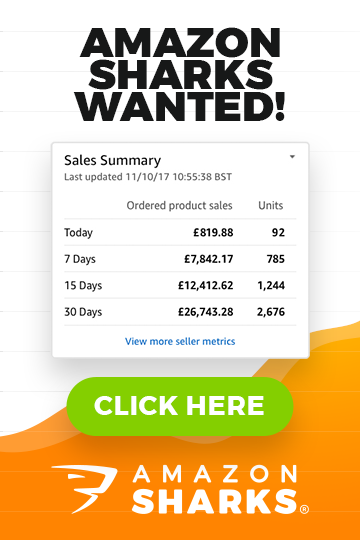 Even if we go with £1 profit per item sold, and you make just 10 sales a day, that still adds up to £300 a month or £3,600 a year! That’s a nice little additional income for minimal work. But it doesn’t have to stay as a second income, not at all! There are thousands of sellers on eBay whose whole business is based around selling low cost items with free delivery. And trust me when I tell you that they’re doing very well – garnering thousands of sales a month and making a full time income from these “cheap items”. So while this is the perfect business model for people just starting out, with a limited budget, over time it can grow to so much more, to something that allows you to quit your job and work on eBay full time. Yes, it of course goes without saying that this business model can be very time consuming in terms of order processing and packaging. That is really the main negative to this, as who wouldn’t much rather pack one order for £10 profit, instead of 10 separate orders. Nothing good comes without some hard work though, and it actually isn’t that bad IF you properly streamline your entire ordering process. Packaging – use cheap, simple and consistent packaging (i.e. you don’t need custom sizes for each different item). Order Processing – process orders in bulk via Selling Manager Pro or even a dedicated system like Linnworks. Use integrated labels so that both the invoice and shipping label can be printed in one go. Product Storage – create a simple and efficient shelving/SKU system which minimises picking errors and time. Shipping – get an account with Royal Mail so that you can drop off orders in bulk or better yet, have them collected all in one go. This will also add to your margins as you’ll get reduced shipping rates. As you can see, there are a lot of things you can do to streamline your order processing, and they will save you hours upon hours every week. I’m a big fan of investing in systems and processes that will make you more efficient than your competitors as this will give you a big advantage over them in the long term. If you do want to really pursue this business model and grow it in to something bigger than a second income, then it’s integral that you get your listings ranked highly in eBay’s search results. I already spoke about the importance of this earlier, so I won’t repeat myself now. The question I want to cover is “how?”. After all, every single seller on eBay would love to rank higher as that means more money, but why do some listings sit at the top of page one, getting thousands of views a day, while others languish unseen? Well, the honest answer is that nobody can tell you for sure, apart from eBay themselves, and they’re not about to share their search algorithm with the public! But don’t fear, as once again I have a complete guide, which if you follow to the t, will have you on top of the search results on eBay! This is the exact strategy used by the biggest and best powersellers on eBay, and it has proven time and time again to be extremely effective. For those of you that have never come across it before, the main idea is to create a listing with a very low price > get loads of sales > get a boost in search rankings (eBay loves listings that do well with buyers, simply put) > make more sales (as your listing is being seen by more buyers) > get a further boost in search rankings… rinse and repeat! That’s what I call a terrific, self-repeating cycle! One final point before I bring today’s post to a close – to be really effective with this method, your listings need to look the part. I’m talking about creating really stunning listings with amazing product photos that convert viewers in to customers. This is all covered in detail in Easy Auction Business, but once again I also have a number of blog posts going over these topics so check those out as well. And that pretty much brings us to the end of today’s (long!) post. I have been planning this guide for a while now as I wanted it to be as extensive as possible, so that someone can come to this post with zero business experience and leave with all the tools needed to create a highly successful eBay business. I hope that the final post achieves that goal, and as always – if you need any further advice or help, don’t hesitate to post in the comments sections below and I will personally answer you. Just a point about the TRS status. If what I understand you to be saying about how important this is to be higher up the search rankings….surely as lots of people will be achieving this status you cannot hope to be always on the first page or two as there will be lots with this status? There are no guarantees of course – all depends on how many sellers compete for same keywords and products. TRS alone does not guarantee you any rankings, just helps improving them. Thanks for writing this guide, which is very helpful. 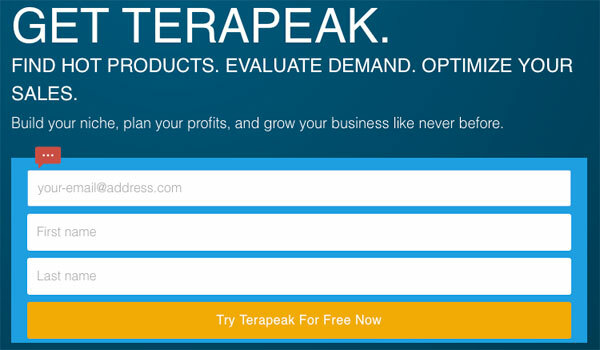 I have started a Terapeak subscription and am starting to look for products. One question – occasionally at work we have tried to source items on Alibaba but one drawback is, in the cases of items we have sourced (piping) they only deliver to the nearest port and we would have to arrange collection from there. In some cases this could add considerably to the cost. Is this something you have found, or do the items you tend to order get delivered straight to your address? You simply need to use a freight forwarding company who can take care of door to door delivery, including customs clearance procedure. If you use courier for shipping your order, you don’t need a freight forwarder as couriers will deliver straight to your door anyway. Could you possibly give me an an example of a couple of UK based wholesalers that I could source these kind of items from? With your example of importing the bulk jewellery for £17 from China, would this also be subject to VAT and import duty? How to Start a Profitable eBay Business With £50! Is eBay’s DOOMSDAY Coming On February 20th? Hi Andrew, had a few questions. Is it still a good idea to ask for a test sample before making a main purchase? or is it not necessary with these low priced products? I have also got in contact with my first Alibaba supplier, who has asked me to contact by email. Is this standard practice, or should I keep all correspondence within Alibaba for fraud protection? I would still start with samples first. With such small products, samples are usually FREE and you just have to cover shipping fee. Usually it will be around $20-$30 for EMS courier which is still quite expensive considering we’re dealing with very limited budgets here. So another option would be to just be more patient and go for Registered Airmail which will arrive in 15 days or so but will be almost free. Communication via email with Alibaba suppliers is totally normal practice, it doesn’t mean they’re scammers. Would you say that generally there is a higher profit margin importing from China than USA or using a UK based supplier? In general, yes. But it all depends on what product and your budget. China has its negatives. I’m sure Andrew can explain better. Yes, usually importing from China will give you higher margin, compared to USA based wholesalers (as most of them still import from China, just in massive quantities). UK based wholesalers are usually the most expensive ones. I made this method about 2.5 year ago but in Poland at allegro (similar website to ebay). I bought in China, pH strips (350 packs, 1 pack including 80 pcs of strips). Total net profit on each pack was 0,68p so in 1 month I earned £238 only on one product. So I can confirm in 100% that what Andrew writes here is true! I implemented this system when I lived in UK (1.5 year ago), selling products on eBay.co.uk. 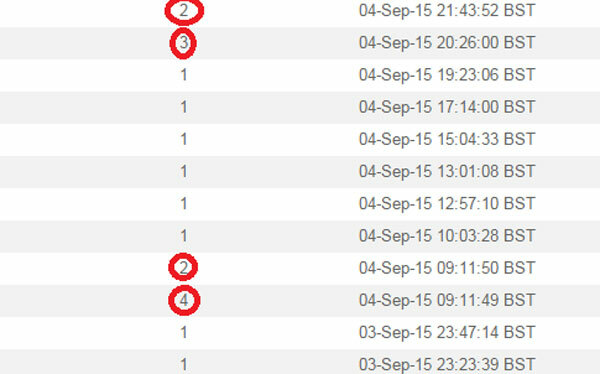 Within 2.5 month I was able to do turnovers on which allowed me earn in each month £1000 net profit. And good thinking on pH strips – it’s a PERFECT product for this system. Good post. But maybe the R O I could be more accurate, as things missing like shipping labels costs, envolopes, ink and petrol. Sure, there are always other expenses but in case with these items, you can really keep them to minimum (label – 1p, envelope, 3-4p max). Labels are around 2-4p unless you buy in bulk. How much is the ink? How much is 1 cartridge? How many sheets/orders can you print off per cartridge? Ink isn’t cheap usually. basic (compatible) 99014 Dymo label roll can be bought for around £2 (220 labels on the roll), so that’s 1p or the shipping label. Ink – there’s no expense on ink when you use Demo labels, they’re thermal printers that does not require any ink. As for the invoice/packing list – compatible inks are also very cheap – around £1 for black cartridge which will print at least 500 pages. So basically cost for label & invoice, paper, ink is no more than 2p per order. LOL – what an indiot. I am glad you took the effort to cost out a label, not because people need to see it but just to show what a moron Lee is. nice job. I just want to share my expierence how to start bussines with low budged. A few month ago i found e few videos on youtube how people buying stuff from car boot (second hand stuff) dvd’s,games,vintage things,books and many many other stuff and later they resseling on ebay (in usa they do the same with charity shops). So i went to car boot,found a few things what catched my eye quicly checked on phone sold item listings on ebay and these things sells for much more money.So i started to list items on ebay and in the first 2 weeks i made £400 pure profit,from buying from car boot and selling on ebay,my firs car boot investment was around £20,first item i sold was 2 ink cartridges paid 50pence for them sold as a bundle for 19.99. Great article, thanks. It seems so easy, I have all the requirements except the product!! I currently sell just one item on ebay, which makes me a good profit but has a narrow market so no room for expansion. I must look into sourcing some additional items and small lightweight things would be great for me, also probably need less storage for those and this is a big factor in my house!